You have the rest of season seven to get it. Developer Epic Games brought great news to Fortnite: Battle Royale players with the v7.40 patch notes. 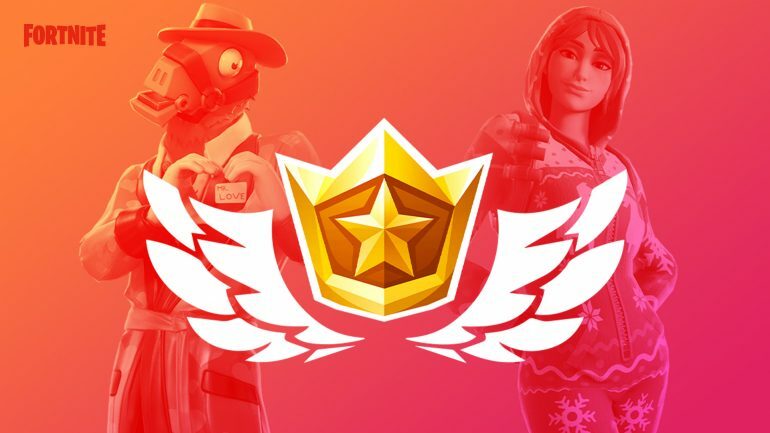 All players will be able to complete some tasks in season seven to earn the season eight premium Battle Pass for free. Players who complete all 13 Overtime challenges in season seven from Feb. 14 to 27 will earn the full season eight premium Battle Pass. Epic is calling this the Share the Love Valentine’s Surprise. Players will be able to see the Battle Pass and its items when season eight starts on Feb. 28. This pass should work exactly like a Battle Pass players buy with V-Bucks at any point of a given season. This means players who complete the 13 Overtime challenges will get the two premium skins that will come in tier one, which will probably be progressive like season seven’s Zenith and Lynx, as well as a 50-percent XP boost right at the start of season eight. Epic has also revealed another five character outfits will be available to unlock in higher tiers for players who own the season eight Battle Pass, amounting to seven outfits in total. With a free season eight Battle Pass, players will also be able to complete all weekly challenges that will be unlocked throughout the season. This will give them plenty of opportunities to rank up their Battle Pass to tier 100, which should unlock an incredible, exclusive outfit. Players who fail to complete all 13 Overtime challenges before Feb. 27 during the Share the Love event will no longer be able to unlock the season eight premium Battle Pass for free. All they’ll have available at the start of the season is the grey, free Battle Pass with slower progression and fewer items to unlock. Epic has yet to announce if it will make a similar event when season eight is released. But for now, the only method available to unlock the season eight premium Battle Pass if you miss the Overtime challenges is by buying it for 950 V-Bucks. If you don’t have much time to finish all of the Overtime challenges, we’ve been compiling guides to the event’s challenges to help you complete them in no time. This should help you save time, complete all 13 challenges, and get your sweet season eight Battle Pass for free.